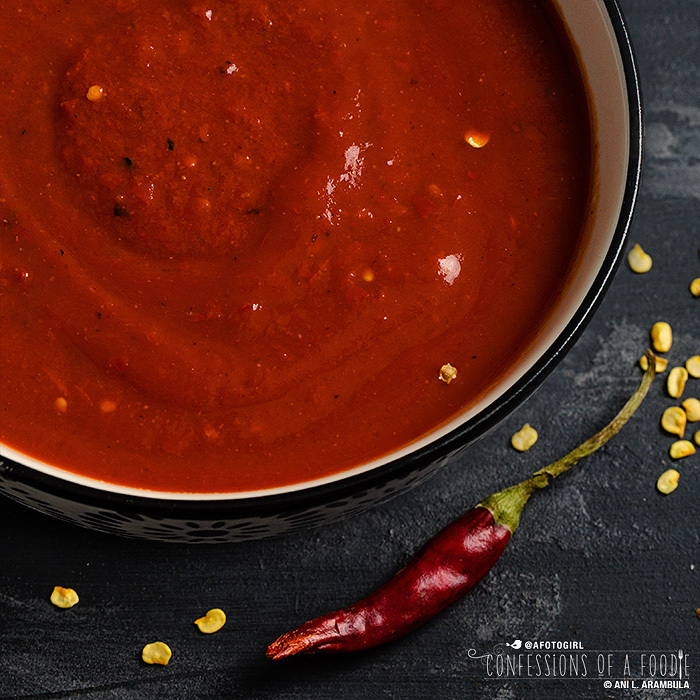 How to make taqueria style salsa roja at home using chiles de arbol and guajillo chiles. I've learned to take a degree of heat and I don't know when or how it happened. There was a time when I really disliked anything that was more than mild. To this day, my dad makes fun of me. He used to tease when I was a child that the hospital must've sent them home with the wrong baby because how could a child of his not like chile. He would have to make two salsas: a pint's worth for me that basically was all the ingredients EXCEPT for the chile and then a quart for everyone else that was four-alarm fire spicy. But right around the time I started playing with harissa, my tastebuds have slowly started to grow accustomed to a small degree of heat while learning to appreciate the flavor of various chiles. I still have a long way to go before being brave enough to eat my father's salsas but I'm rather proud of how far I've come. I say I'm now able to eat and enjoy a two-alarm fire spicy salsa. That's a far cry from pico de gallo which is everything but the heat. 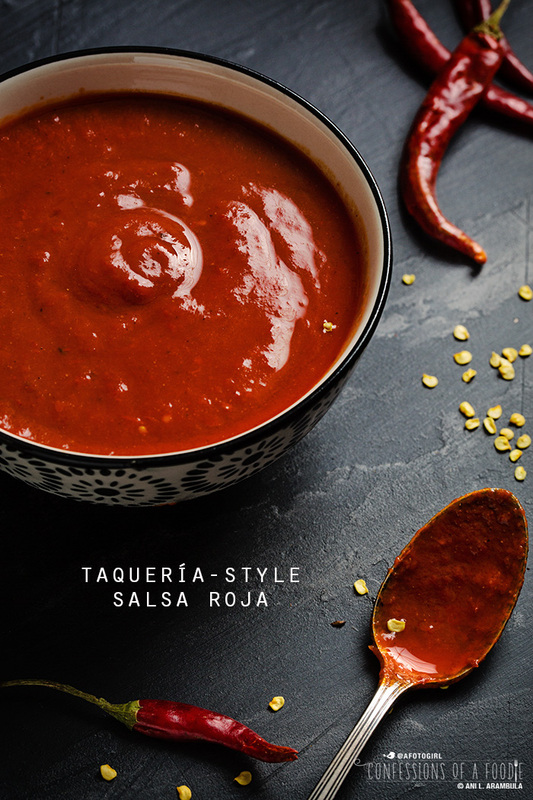 I love my guacamole with a bit of kick and my tomatillo salsa verde so I decided it was time to dip my toes into appreciating taqueria salsa roja. Now I'm putting this stuff on everything! Every family uses slightly different chiles. There is really no right or wrong chile to use in salsa roja. For the small chiles that give heat, most recipes call for chiles de arbol but some family recipes might call for chiles de japones (Japanese chili peppers). Both are small, thin and pack quite a wallop, most especially their seeds. You could even use habaneros if you love those little devils. I don't. But that would be an obvious assumption. 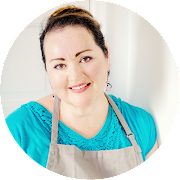 A lot of recipes might stop with just the one type of chile but personally, that's so one note and I want more substance, or rather, I want to taste a more complex chile flavor. 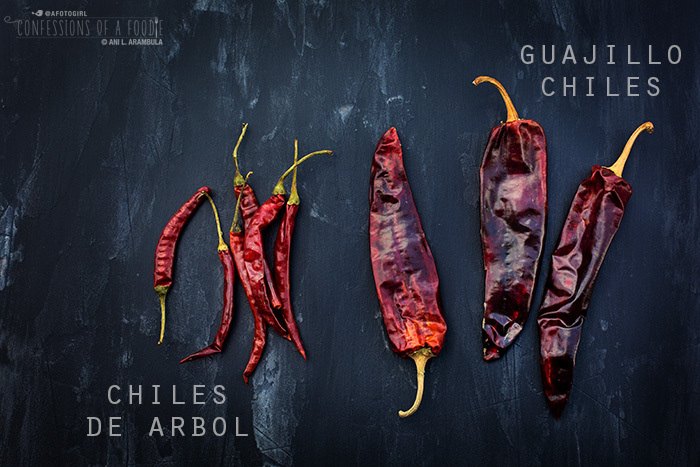 To that end, for structure and a slightly smoky background note, I add my much-loved chile: guajillo. As my favorite noted authority on regional Mexican cuisine Rick Bayless says, guajillos are "the workhorse chiles with lots of dazzle." These peppers are widely used in Mexican cooking (alongside anchos, they provide the flavor and heat in my dad's homemade chorizo). Throw in some pan roasted tomatoes, tomatillos, garlic and onions and you've got yourself a great Mexican condiment for anything from eggs, to tacos, to marinating meat in. 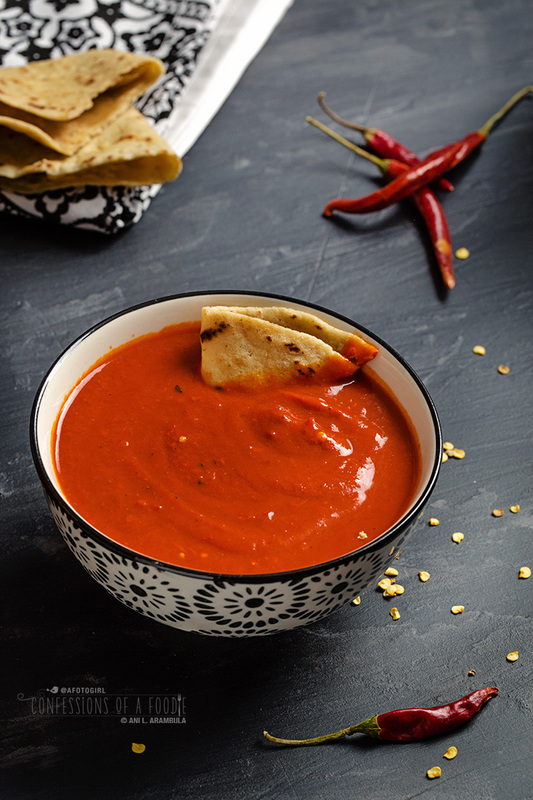 This red chile sauce is a tasty place to start and is totally customizable. I started with 8 chiles de arbol the first time and it left a slight tingle around the lips. I am now up to 18 of these little chiles but you could go as high as 25 for a nice kick or even 30 if you want it screaming hot. Bear in mind though that the more seeds that make it in, regardless of the amount of peppers, the hotter it will be. I didn't add cilantro to this recipe because frankly, I was all about the flavors of the chile but you could certainly add some if you like. Most taqueria style recipes I've seen don't but it's totally up to you to make it your own. The peppers are available in the Mexican aisle of most big supermarkets. I like to buy mine at Mexican grocery stores because the turnover is higher so you know you're not getting a product that has sat on a shelf for six months. In Southern California, Northgate Market sells them loose in bulk so you can get exactly the amount you need as well as in packages. I bought these at Specialty Produce, also sold loose in bulk. If your local store doesn't sell them, mexgrocer.com is a great resource. Don't be surprised with the cinnamon. To me, cinnamon is to chile what espresso (or coffee) is to chocolate: It just works to balance and enhance the flavor. Place a griddle or cast iron skillet on medium high heat. When hot, add the chiles and toast, turning frequently until they start to darken, but not blacken. Avoid blackening if possible as this will add a bitterness to your salsa. As the peppers start to change color, remove them to a small saucepan. Fill the saucepan with water to cover; bring to a boil, cover and turn off heat. Allow to steep for 25 minutes. In the meantime, add the tomatillos, tomatoes, onion and garlic to the hot griddle. Turn vegetables occasionally, charring the tomatillos and tomatoes as much as you can. Remove garlic as soon as it's softened and remove onion when nicely browned. Place tomatoes in a blender first and blend on high to liquify. Next squeeze the garlic out of it's skin and add to the blender along with the tomatillos and onion; pulse to chop. Set aside. Reserving the cooking liquid, remove the chile peppers from the saucepan to a plate until cool enough to handle. Wearing food handler gloves if you have them, remove stems and seeds from the guajillos; tear the guajillos into chunks and add to blender, discard stems and seeds. Remove and discard the stems from the chiles de arbol. Remove the seeds, reserving a teaspoon of seeds for later (more if you want your salsa especially spicy). Tear the chiles into chunks and add to the blender. Heat the griddle or skillet to medium hot again and quickly dry toast the reserved arbol seeds until fragrant. Add the seeds to the blender along with the lime, salt, cumin and cinnamon. Pulse on high, adding reserved cooking liquid as needed to get a smooth thick consistency. I like mine the consistency of thick tomato sauce but you can leave it chunky or as thin or thick as you like. Taste and add more salt if desired. Store in an airtight container (glass jar, preferable) for up to a week in the refrigerator. Recipe by Anita L. Arambula. Copyright 2015. www.confessionsofafoodie.me. If you make or adapt this recipe to share on your blog, please write the directions in your own words and link back to this original post. Thank you! There's a big middle eastern market nearby that also caters to Latin patrons. I walk a lot slower as I pass all the beautiful dried chilies, but I haven't got one clue what to do with them. So now I have a good reason to buy some. Thanks, Ani. Next time you're there, grab a few dried chipotles. Grind them in a coffee grinder and sprinkle on burgres, steaks, and chicken. You won't be disappointed. I recently made this, I also made a variation using habenero's both turned out great. Thank you !!! I do wish the fresh salsa lasted longer though, I would love to can or freeze.